“Art education is an extremely precarious process. Students and lecturers are continually feeling around for something that can be meaningful or significant to hold on to. However, this does not imply incompetence, ignorance or laziness. It is simply one of the main values of art education that everything must be rediscovered over and over again. But at the same time, the government is looking for concrete issues in society. Depending on which way the political wind is blowing, we run the risk of this society being viewed as a market, rather than as a world.” – Erik DeJong. 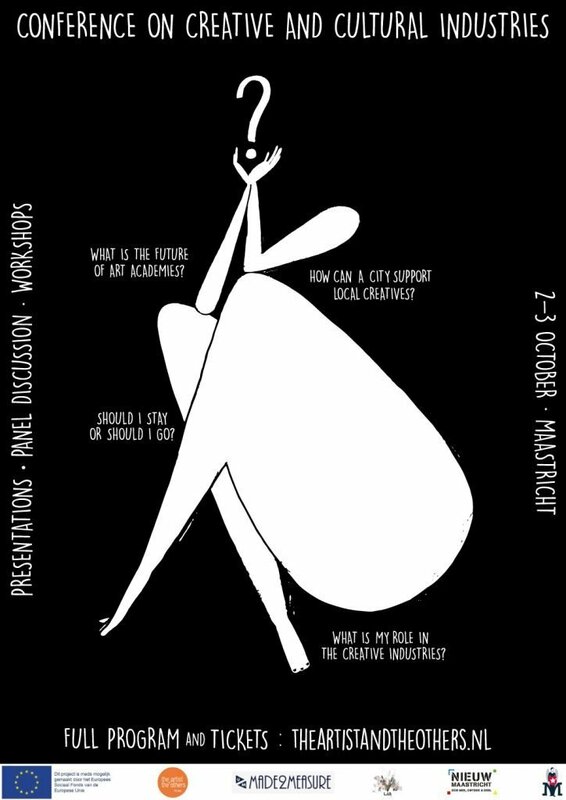 This year the Conference on Cultural and Creative Industries is going to focus on 3 topics; Art Education & entrepreneurship, how a city could support its talent and what is the current situation of Cultural industries in small cities. Since a couple of years, the following questions are on the table of discussion of art academies, cities and even higher levels of government. Do art graduates need business/entrepreneurial skills to become successful? Is it the responsibility of the academy to teach these skills? If not, whose is it? What are the most important skills art graduates need in order to develop their career? What is the most important factor for a city to have in order to create a vibrant and sustainable creative culture? Is it possible for a peripheral/small city to create such a culture? When can we speak of a successful cultural and creative environment? Through great real life examples and a meaningful discussion, the conference aims to find possible solutions to these questions. The Conference is divided into 2 days, the first dedicated to presentation and discussion, the second focused completely on providing participants practical skills. Here you can have a look at the all program.